We take pictures. We post about funny and important moments. We share our opinions about current events. We share a glimpse into our lives with our Facebook friends. How cool would it be to take all of that and compile it into book format for a keepsake? I can tell you first hand — it.is.awesome. I recently had the chance to create and order one of these books. When I was customizing it, I was thinking hmmmm…this will be pretty cool. It wasn’t until it arrived in the mail and in my hands that I saw what a true keepsake this is. I absolutely LOVE it. For my book, I wanted it to be all about the pictures. So I combined my Facebook timeline and Instagram feed full of only the pictures I had taken and posted. I left out status updates, just as a personal preference. Each month starts off with your main header picture (see our family photo in the picture above) and it pulls a picture from that month as the smaller one. We attended a wedding in July, so it pulled a photo of my husband and I all dressed up. It also has several pages of just photos I uploaded to Facebook. 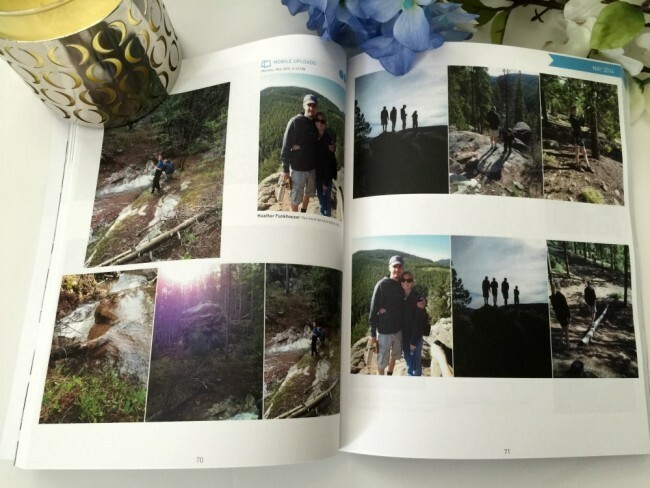 The page pictured above is full of photos from our Colorado trip last summer. I love having this memory in book format. 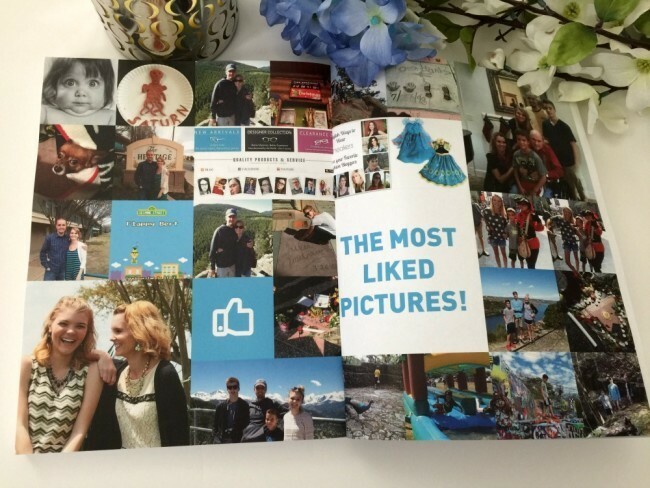 The last page of My Social Book is a collage of my most liked pictures. From pictures of my family to funny ones like the chubby baby, it’s fun to see which pictures resonated with my family and friends on Facebook. The process of creating the book is super easy. It connects to your Facebook and/or Instagram account. 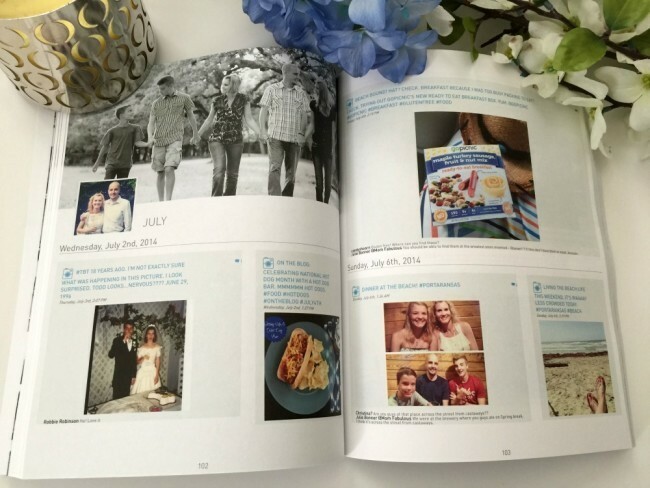 You decide what you want in the book, as well as choose the cover photo, page colors and a few other elements – and within minutes you have a book to preview before you even hit publish. 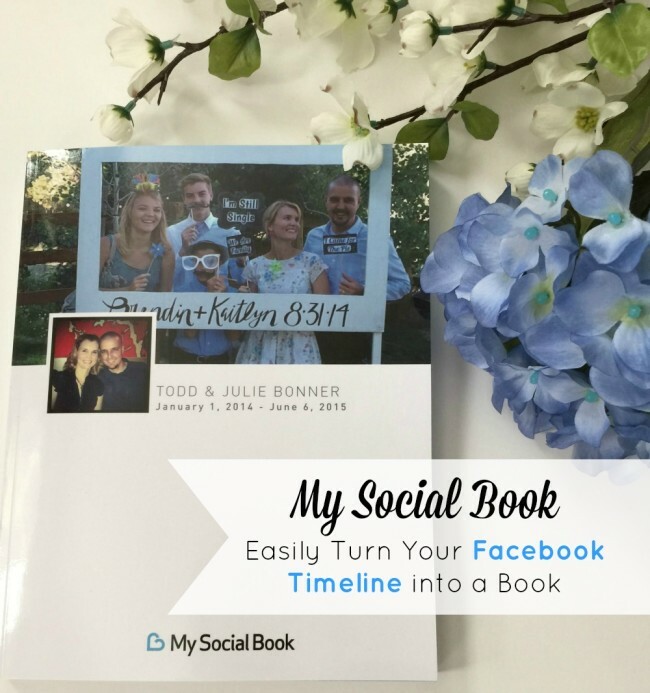 “Got My Social Book and I am obsessed!! I have showed all of my friends who loved the book. It is the best way to capture what was going on in my life during the time period that I chose. It’s amazing!!”Rachel. “This book preserves my friends thoughts, feelings, and support for a lifetime!! I want to make one EVERY year!!!”Christy. Every once and awhile I get so irritated with social media. Don’t you? But what I realized as I was flipping through My Social Book is that I’m not using it to rant, rave or complain. I’m using it to share life. I love scrolling through and seeing my friends’ parties, vacations and big moments in their lives and the lives of their kids. Having it all compiled into book format is something I’ll treasure for years to come. I’ll definitely be creating one of these every year. Would you like one? I thought so! My Social Book is offering Mom Fabulous readers only a 30% discount off a book. This is their biggest discount, so grab it while you can! Use this link and the coupon code MOMFAB30 at checkout. Have fun flipping through pages and pages of memories!